We have 8 total locations in Albuquerque & Bernalillo to make visiting the MVD more convenient & efficient for you. Have you purchased a motor vehicle recently, or thinking of transferring ownership? We make your vehicle registration process quick and painless. New driver’s license? Registration renewal? Driving permit? Real ID? Get everything now with our express services We have you covered! Choose one of eight convenient MVD locations in Albuquerque and Bernalillo, New Mexico for fast DMV services close to home and work. Our highly trained, friendly, and knowledgeable staff are ready to serve your DMV needs. Schedule an appointment today! MVD Now was founded by native New Mexicans and was the first privately owned motor vehicle operation to open in the state of New Mexico. We thank you for allowing us to have the honor to serve you and your family for so many years. We love our local communities here in Albuquerque and Bernalillo! 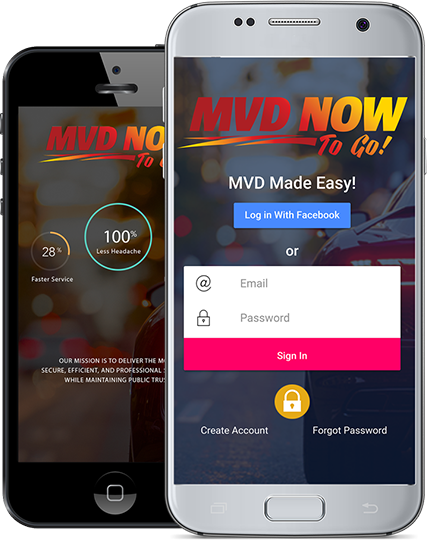 MVD Now‘s goal is to continue to provide the most friendly and efficient DMV services possible. From receiving Albuquerque Best of the City awards to the Excellence Award in 2012 from the MVD director, we strive to continue to over deliver. We aim to give you superior service, tools, and resources to make sure you make a quick, efficient trip to the MVD, all while receiving the highest quality customer service you deserve. Get DMV express service here — see you soon! In the last 10 years, MVD Now has grown immensely. We started with one office and now we’re currently operating eight locations to make going to the DMV even more convenient for our customers. No more going out of your way. At least one of our locations is bound to be close to your home or work! We now have eight locations across Albuquerque & Bernalillo to better serve you. Anything DMV-service related, we ensure we have you covered — from vehicle titling, vehicle registration, driver’s license renewals, to fully managed fleet vehicle services! We’re even open Saturdays! Si Hablamos Español! We thank you for allowing us to have the honor to serve you and your family’s for so many years. MVD Now‘s goal is to continue to over deliver on the quickest, friendliest, most efficient, and most secure DMV service possible in Albuquerque & Bernalillo. Alexis was awesome, friendly, and helpful when I called today! Best experience with the MVD I have ever had! I appreciate having the ability to take advantage of this service. Super easy and fast. Friendly service. Our mission is to deliver the most secure, time efficient, and professional DMV services in New Mexico. We want to make sure you make one quick DMV trip all while receiving the highest quality customer service.